Google’s campus is a hotbed when it comes to having statues of Android versions of Christmas past littered strategically, which provides a decent walk-through history lesson for the uninitiated. Historically speaking, each time there is a new version of Android that will be released, an equally new Android statue will be unveiled on the Google campus. We have already seen statues depicting Cupcake, Donut, Eclair, Froyo, Gingerbread, Honeycomb, Ice Cream Sandwich, and Jelly Bean in the past, and Google has just taken the wraps off a new Chrome Bugdroid statue. 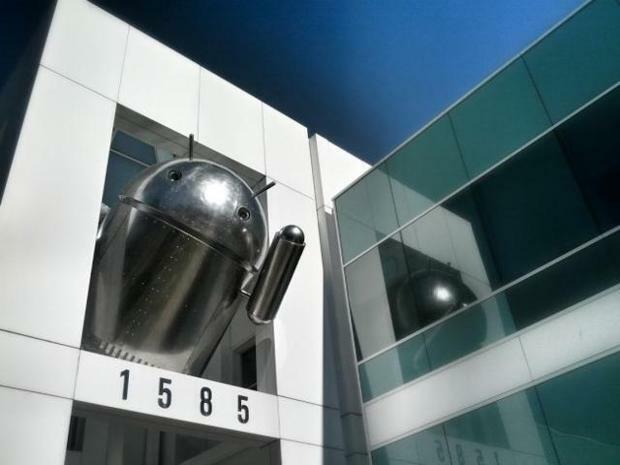 Other than having a new statue for pigeons to perch on many meters above the ground and admire the vast amount of square footage of the Google campus, very little else is known about this new Chrome Bugdroid statue, so the Internet is abuzz with speculation. We personally think that this is a hint at a far more comprehensive connection between both the Android and Chrome operating systems sometime down the road on levels that we have yet to think up of, as it does not quite measure up at the moment. After all, it defies logic to merge the Chrome operating system with the Android platform should Chrome be the default browser in future versions of Android, right? Apart from that, it must be noted that the Chrome Bugdroid statue is not placed on the same lawn as with its brethren, and neither can we think of a dessert that is Chrome in color and naming convention, so perhaps it will be the beginning of a new Android statue set.